Audio posted April 20, 2018 in NFL Draft by Sports Staff. Story posted April 20, 2018 in NFL Draft by DJ Bauer. Audio/Story posted April 19, 2018 in NFL Draft by Joe Skinner. Story posted April 18, 2018 in NFL Draft by Hunter Pitcoff. Story posted April 18, 2018 in NFL Draft by Joe Murphy. Video posted April 10, 2018 in NFL Draft by NFL Draft Staff. Story posted April 6, 2018 in NFL Draft by DJ Bauer. Story posted April 5, 2018 in NFL Draft by Jeremy Ganes Joe Skinner and Hunter Pitcoff. Story posted April 4, 2018 in NFL Draft by Camden Tofil. Audio posted April 4, 2018 in NFL Draft by Sports Staff. Story posted April 4, 2018 in NFL Draft by Jerome Taylor. Story/Video posted April 2, 2018 in NFL Draft by NFL Draft Staff. Story posted March 28, 2018 in NFL Draft by Hunter Pitcoff. Story posted March 28, 2018 in NFL Draft by Jason Marcus. posted March 21, 2018 in NFL Draft by Joe Skinner. Story posted March 21, 2018 in NFL Draft by Camden Tofil. Story posted March 20, 2018 in NFL Draft by Jason Marcus. Audio/Story posted March 20, 2018 in NFL Draft by Sports Staff. Video posted March 20, 2018 in NFL Draft by NFL Draft Staff. Video posted April 25, 2017 in NFL Draft by NFL Draft Staff. Video posted April 25, 2017 in NFL Draft by Ryan Berti . Audio posted April 20, 2017 in NFL Draft by NFL Draft Staff . Audio posted April 20, 2017 in NFL Draft by Mike D'Avella . Video posted April 19, 2017 in NFL Draft by NFL Draft Staff . Audio posted April 19, 2017 in NFL Draft by Mike D'Avella . Story posted April 19, 2017 in NFL Draft by Zach Seyko . Story posted April 11, 2017 in NFL Draft by Zach Seyko. Story posted April 11, 2017 in NFL Draft by Mitch Stewart . Story posted April 10, 2017 in NFL Draft by Anthony Spada . Story posted April 10, 2017 in NFL Draft by Zach Kaplan . Story posted April 10, 2017 in NFL Draft by Zach Seyko. posted April 9, 2017 in NFL Draft by Sports Staff. Story posted April 6, 2017 in NFL Draft by Will Desautelle . Video posted April 5, 2017 in NFL Draft by NFL Draft Staff. Audio posted April 4, 2017 in NFL Draft by Sports Staff . Audio posted April 3, 2017 in NFL Draft by Sports Staff. Audio posted April 3, 2017 in NFL Draft by Sports Staff . Video posted March 22, 2017 in NFL Draft by NFL Draft Staff. Video posted April 27, 2016 in NFL Draft by NFL Draft Staff . posted April 27, 2016 in NFL Draft by George Stockurger. Story posted April 27, 2016 in NFL Draft by George Stockburger. posted April 27, 2016 in NFL Draft by John Petrolias . posted April 26, 2016 in NFL Draft by Will Price. Story posted April 26, 2016 in NFL Draft by Tommy Buttler . Story posted April 26, 2016 in NFL Draft by KJ Meade . Story posted April 26, 2016 in NFL Draft by Ryan Leonardo . Story posted April 26, 2016 in NFL Draft by Jesse Finver . Story posted April 25, 2016 in NFL Draft by Jon Gross . Story posted April 25, 2016 in NFL Draft by Brad Wakai. 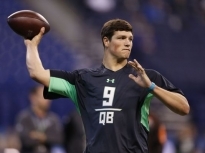 2016 NFL Draft: Bust Alert! Story posted April 25, 2016 in NFL Draft by Brad Wakai . Story posted April 21, 2016 in NFL Draft by Nate Underhill . Story posted April 20, 2016 in NFL Draft by David Arroyo. Video posted April 20, 2016 in NFL Draft by NFL Draft . Story posted April 20, 2016 in NFL Draft by Ryan Stevens. Story posted April 20, 2016 in NFL Draft by George Stockburger . Video posted April 14, 2016 in NFL Draft by NFL Draft Staff . Story posted April 14, 2016 in NFL Draft by David Arroyo . Audio posted April 13, 2016 in NFL Draft by NFL Draft Staff . 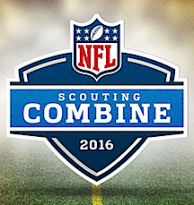 Audio posted April 12, 2016 in NFL Draft by NFL Draft Staff . Video posted April 6, 2016 in NFL Draft by NFL Draft Staff . Video posted March 30, 2016 in NFL Draft by NFL Draft Staff . Video posted March 23, 2016 in NFL Draft by NFL Draft Staff . Video posted March 16, 2016 in NFL Draft by NFL Draft Staff . Story posted March 2, 2016 in NFL Draft by Sports Staff . Story posted March 2, 2016 in NFL Draft by Sports Staff. 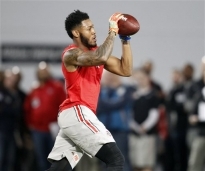 Story posted February 23, 2016 in NFL Draft by Marley Paul. Video posted April 28, 2015 in NFL Draft by NFL Draft Staff. Audio posted April 25, 2015 in NFL Draft by NFL Draft Staff. Audio posted April 24, 2015 in NFL Draft by NFL Draft Staff. Video posted April 22, 2015 in NFL Draft by NFL Draft Staff. Audio posted April 19, 2015 in NFL Draft by NFL Draft Staff. Video posted April 17, 2015 in NFL Draft by NFL Draft Staff. Audio posted April 17, 2015 in NFL Draft by NFL Draft Staff. 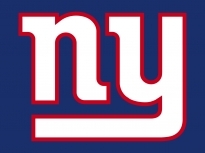 Story posted April 15, 2015 in NFL Draft by Jack Milewski. 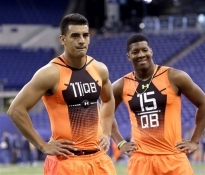 Column: How will Marcus Mariota fare in the NFL? 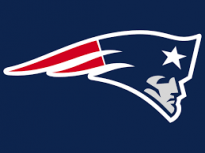 Story posted April 11, 2015 in NFL Draft by Jack Milewski. Video posted April 8, 2015 in NFL Draft by NFL Draft Staff. Audio posted April 8, 2015 in NFL Draft by NFL Draft Staff. 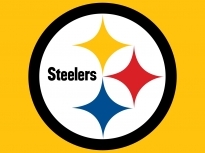 Opinion posted April 1, 2015 in NFL Draft by Kristopher Rogers. Video posted March 31, 2015 in NFL Draft by NFL Draft Staff. 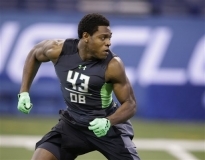 Story posted March 29, 2015 in NFL Draft by Ryan Berti . Video posted March 24, 2015 in NFL Draft by NFL Draft Staff. Video posted March 18, 2015 in NFL Draft by NFL Draft Staff. NFL Draft Outlook: Where does Todd Gurley stand after roller coaster year? 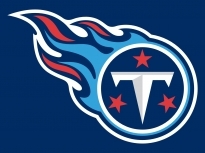 Story posted March 16, 2015 in NFL Draft by Ryan Berti . 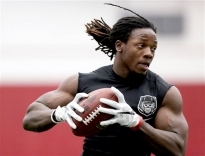 Story posted March 15, 2015 in NFL Draft by Jeff Capanelli. Video posted March 4, 2015 in NFL Draft by NFL Draft Show. Video posted March 3, 2015 in NFL Draft by NFL Draft Show. 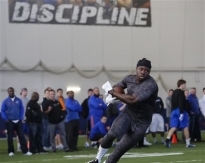 Story posted March 2, 2015 in NFL Draft by Kristopher Rogers. Video posted February 25, 2015 in NFL Draft by NFL Draft Staff. Video posted February 24, 2015 in NFL Draft by NFL Draft Staff. 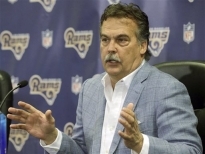 Story posted May 9, 2014 in NFL Draft by Matt Michelone. Audio/Story posted May 8, 2014 in NFL Draft by NFL Draft Show Staff.